It’s good news for Wizards of the Coast. The initial reaction to Dungeons & Dragons 5 by the media has been positive. The response from fans also seems to be good. A strong example of this success comes from Amazon.com. 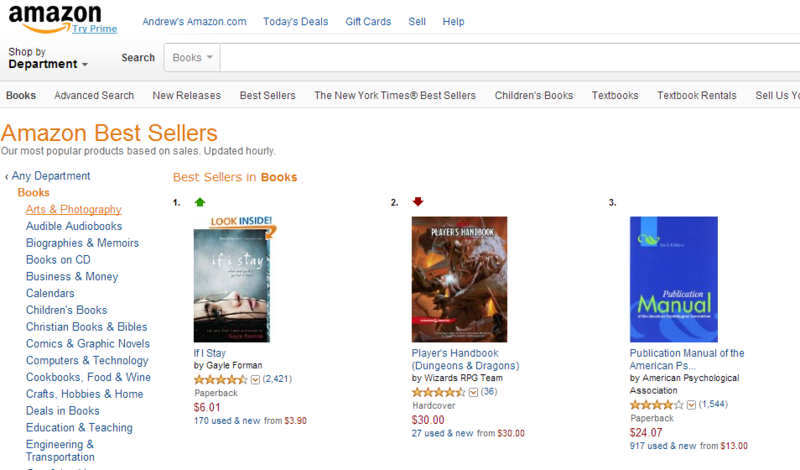 Amazon has had the Player’s Handbook at the very top of the Best Sellers list in the US since launch. The $30 hardback slid into position two over night as it battles against Gayle Forman’s “If I Stay”. Meanwhile, the story is slightly different in the UK. 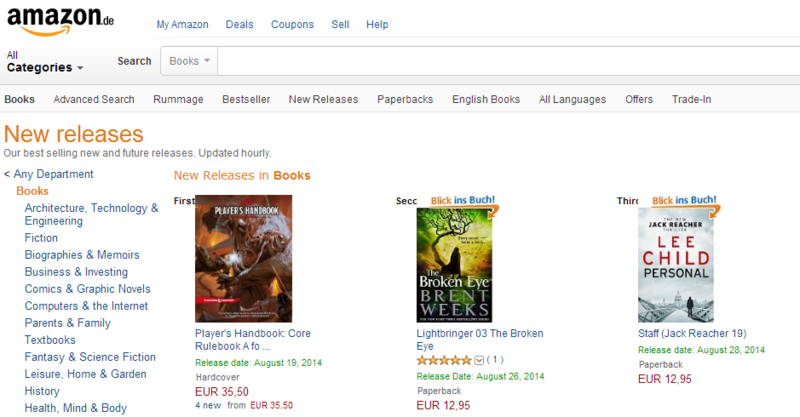 You can order 5th edition’s Player’s Handbook from Amazon UK but you may well decide not to bother. The site is currently estimating a three to five week waiting list. What’s going on with Amazon UK? 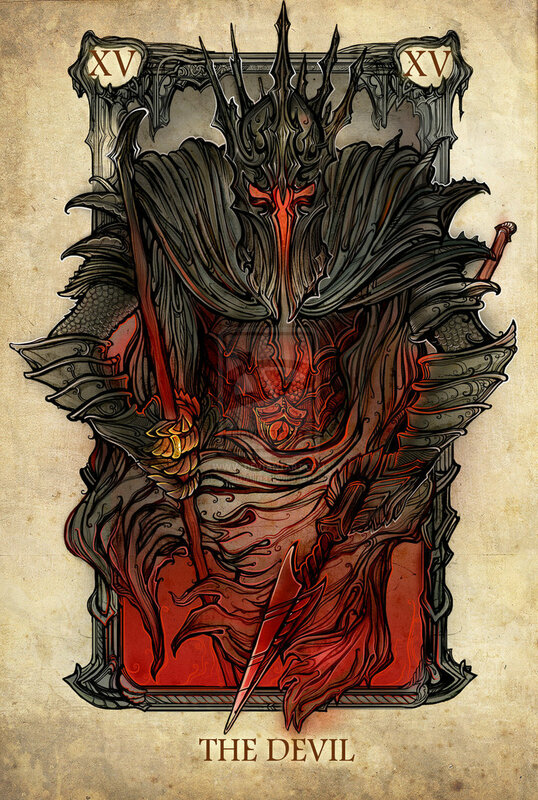 This might be a case of the initial run of D&D Player’s Handbook could have sold out. That would be another good sign for Hasbro, Wizards of the Coast’s owners, but if Amazon in Europe had been well supplied with copies of the book then surely we would see that reflected in the best seller chart. It seems more likely that Amazon is still waiting for a supply of books to sell. In one final twist – the very same book is topping the charts over in Amazon DE – as shown by this Google Translated screen grab.